 I think we are related through Windsor Graham.  My Grandfather Rev. Thomas Phillip Graham took the call to be a Minister in the North West and that is how my family got into the West and then my Father moved us to Hawaii and I grew up in Hawaii since I was two and my roots are deep in the soil of this land.  I have a lot of information on the Graham side of the family and I have used your site to build up my blanks on your side of the family.  I'm looking for more information on Mary Elizabeth Grahams brother, James Argood Andrew Graham and his wife Eliza Merritt High and their children and on down the generations of Grahams.  Please email and make contact! E-mail written 26 Oct 2011 to Warren L. Culpepper from Roderick W. Graham, e-mail address. Alice Culpepper and A. J. Price on 12 Oct 1884 in Henry Co., GA.
Name Variation � He was also known as Joseph W.
Columbus Culpepper, Brother, M, S, W, 21, Farming, GA/GA/GA. 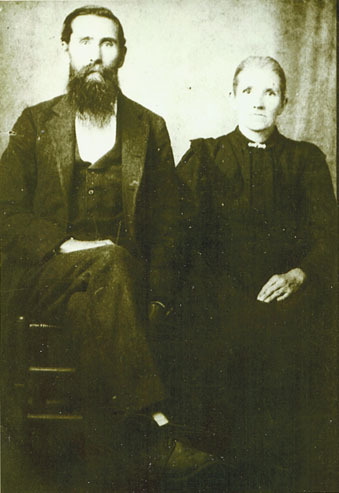 J. W. Culpepper and Nancy Sowell on 21 Nov 1892 in Henry Co., GA.
Susan Culpepper and Robert Lummus on 05 Oct 1884 in Henry Co., GA.
* Eliza Ann Culpepper Chafin, 17 Jul 1863 - 12 Jan 1946. 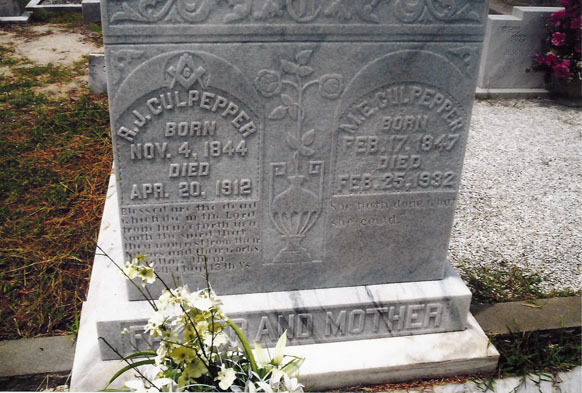 Liza Culpepper and Jesse Chafin on 08 Nov 1888 in Henry Co., GA.
Carrie Culpepper and James E. Upchurch on 20 Oct 1895 in Henry Co., GA.
p 251 from confused date on son Hezekiah's tombstone. Lynda S. Eller, Heard County Georgia Cemeteries, Lanett, AL: Heard Heritage Publications, 1977.